You are currently browsing the tag archive for the ‘Rationality’ tag. The DWR Sunday Disservice – The Golden Rule Sounds Nice. What’s Your Problem? All too frequently when the horrible/insane/incoherant practices/beliefes/consequences of religious dogma are pointed out, one hears responses that try to dodge the point rather than address it directly. One of the most common of these dodges takes this approximate shape: “Why do you even bother? It’s not like religious people ever do anything harmful in this day and age. And if they do, those harmful actions are never based on their religious beliefs. You’re obviously just full of hate for people not like you, so I now get to disregard your point.” Typically, believers will also throw in a reference to some other part of their religion’s teachings which sounds nice and lovey dovey. Can’t have a problem with lovey dovey, can you? First, I want to stress that this IS a dodge. It doesn’t matter if I happen to be the most hateful person on the planet or if the idea I’m attacking isn’t currently held by anyone alive today. 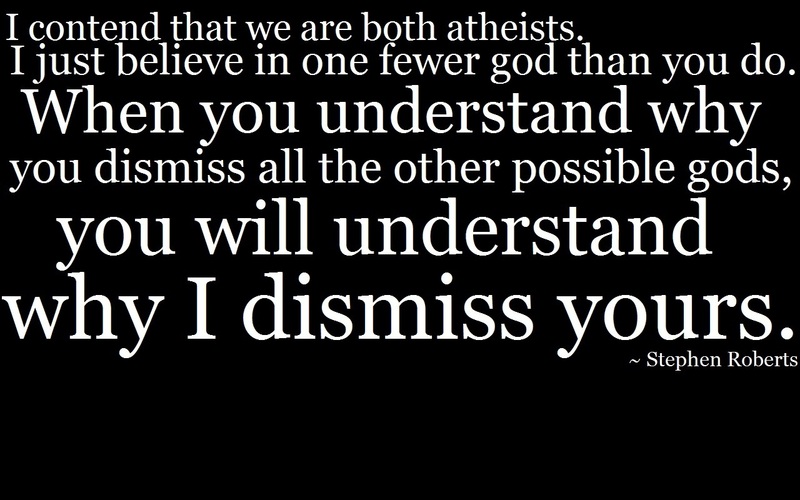 Nor does it matter that Belief Y is a good one, if we are discussing Belief X. 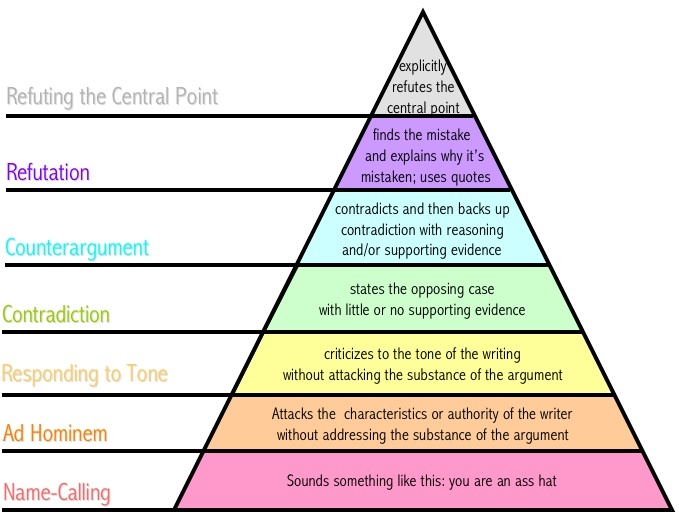 In rational discussions, one must challenge the actual points presented. It is meaningless to quibble over the context around them or to focus on something else. 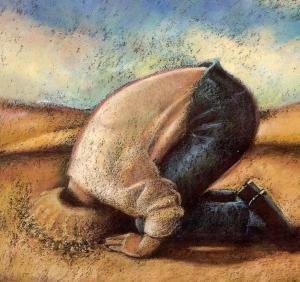 Plunging your head into the sand is not a valid reasoning technique. Alternatively, one could concede the point and admit that said dogma/practice/belief is indeed horrible/insane/incoherent. Then you could start a second discussion to try to argue that the dogma’s despicable nature doesn’t influence the world in any meaningful way. While this would be acceptable, it’s rare that a theist is will allow that any of their core religious ideas are either loathsome or inconsequential, much less both. Much more likely, the theist will refuse to return to the main topic until this non-sequitor is dealt with. In either event, I would like to share ProportionalResponse’s reaction. 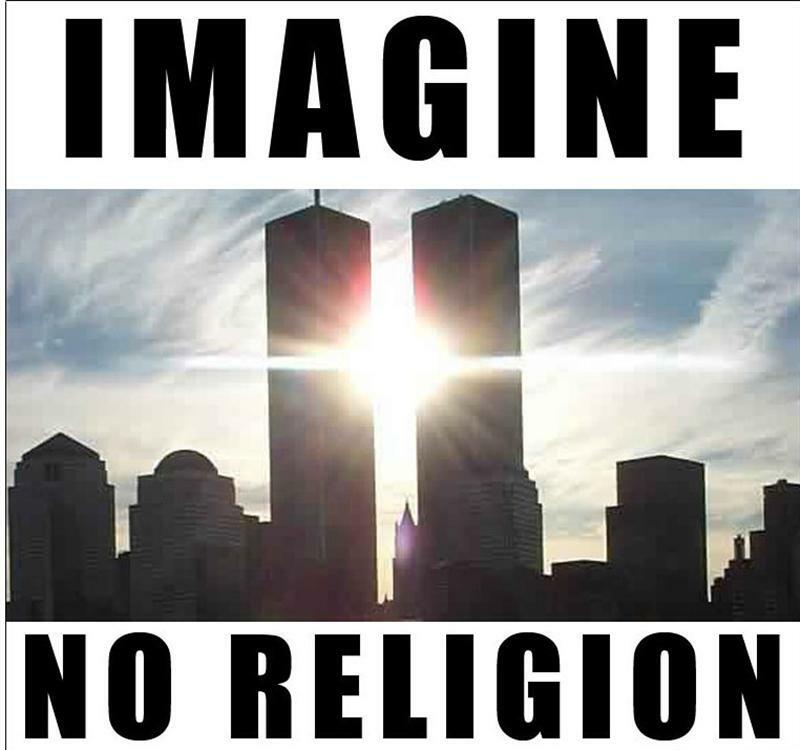 The suggestion that religion today is harmless would be laughable, if it wasn’t so spirit-crushingly sad. Here is a link to the full image, should you wish to study it more carefully. This dodge neither reflects reality nor addresses the topic actually under discussion. It’s a cheap diversionary tactic of the desperate and/or lazy. Users of this dodge may leave, give their heads a shake, and come back when they’re ready to say something meaningful. Mr.Mckenna on relativism and how it makes us into polite but foolish people. I see the religiously addled beginning to froth thinking perhaps that once we get rid or relativism we can get back to the unctuous vapidity of absolute morality…no no kiddies, what we are talking about here is moving debate back toward rational discourse. Delusional filled magic books and reverence for sky-daddies will get the rough treatment they deserve. It is awesome to watch the faithful whirl in indignation when they are called on the bullshite they believe in. I’m not sure what Fox news was trying to do with this piece other than making their hosts look foolish. The US is plodding back to the Dark Ages with their delusional christian inanity at their side, guiding them into a second Dark Age. It is nice knowing that you are fairly right about something. Evolution happens to be one of those topics in that category. The funny/sad part is running across people who still “don’t get it” and either are deluded or have let their misplaced skepticism get the better of them. I try unsuccessfully to hide my incredulity when people put their ignorance on display, it probably gets me in trouble as I have had these “you’re really saying that moments” with people who are in positions of authority and they are friends/respected peers. Too bad, so sad; I’m getting way too old to varnish the truth for those who want to clutch the wizened pearls of their shoddy religions and spout nonsense. Religion is one of the factors that constantly works against civilization and the values of the Enlightenment. Belief in magic and the supernatural, a wish to return to the Dark Ages is remarkable exercise in puerile wish-fulfillment. Strong argumentation, relentless morality and ridicule are the only answers to the plague of religion. The purulent immorality of religion, the suppurating chest wound of humanity, must be expunged. Christopher Hitchens stands against religion, and in this video shows what must be done, and redone to combat the forces of the anti-rational. Ahh, if only the war on woo was going so well. Relax with Mr.Minchin as he disassembles the irrational in his poetry and bask in his defence of the real and the rational. Draw Mohammad Day and Armageddon? – May 20th, 2011. Holy gangbusters of a double bill Batman! The world ending and international Draw Mohammad day all rolled into one? It will be an extravaganza of ridicule against the forces of delusion and, as usual, another victory for the rational.